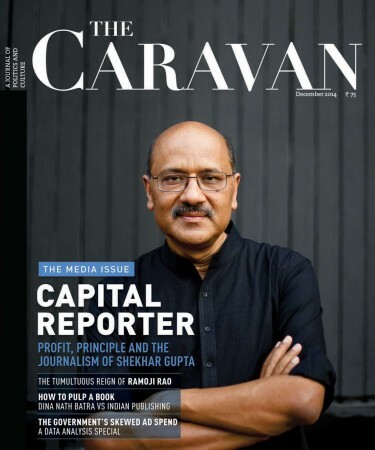 The December “media issue” of Caravan magazine has a 20-page profile of former Indian Express editor-in-chief and shortlived India Today editor-in-chief Shekhar Gupta. 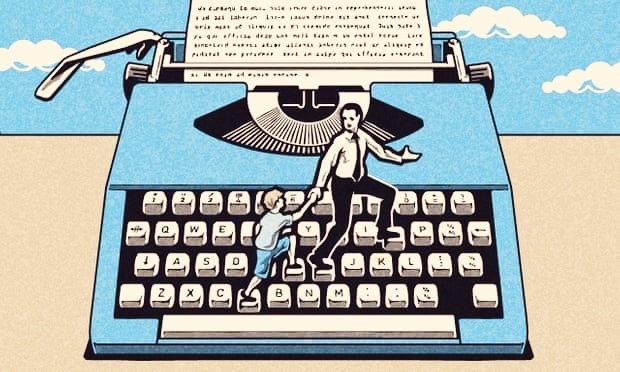 Authored by Krishn Kaushik, the profile is titled “Capital Reporter”, with the strapline “How profit and principle shaped the journalism of Shekhar Gupta”. # The son of a minor bureaucrat from Haryana, Shekhar Gupta‘s annual salary at The Indian Express sometimes exceeded Rs 10 crore ($1.6 million) per year. Current chief editor Raj Kamal Jha got Rs 1.25 crore, Jaideep “Jojo” Bose of The Times of India was paid under Rs 2 crore. # Shekhar Gupta made Rs 36.67 crore in “capital gains” in 2009-10, through the demerger of the Indian Express‘s real estate wing and the newspapers, which resulted in the sale of the iconic Express Towers at Nariman Point in Bombay. # A senior television journalist is quoted as saying: “He is a social terrorist. He will look at you for five seconds, then look at the next person coming in.” Congressman Mani Shankar Aiyar says Gupta once “cut me dead and walked away” at a party. # After interviewing over 50 people, the reporter Krishn Kaushik writes that “detractors of the ‘Shekhar Gupta phenomenon’ contended that Gupta’s wealth compromised the “Journalism of Courage” he promoted at the Indian Express. # When an Indian Express report on the alleged violations in the acqusition of land for Reliance Industries chief Mukesh Ambani‘s Antilla tower was to appear in the Bombay edition, he called resident editor Samar Halarnkar “from a train in Italy” although in fairness, he did not block the story. # Krishn Kaushik writes that at least half-a-dozen current and former members of the Express news team gave the reporter “specific instances” of stories being killed, allegedly without discussion with those reporting them—stories that went against a top industrialist, a cabinet minister, a real-estate group. # One journalist described how Gupta once had him debrief a foreign government agency, which seemed irrelevant to any of the stories he was working on. # Around the time Shekhar Gupta became CEO of Express, a gentleman called B.S. Raman would come to Express Towers in Bombay for a few hours every day from the nearby Reliance Industries’ office at Maker Chambers. Raman tells the reporter he was asked by his office to help Viveck Goenka‘s company. # A Express staffer told the reporter that the C-story “The January night Raisina Hill was spooked” had been pushed by P. Chidambaram, who was then the home minister, and Nehchal Sandhu, then the director of the intelligence bureau. # Kaushik writes that Chidambaram pushed for Shekhar Gupta to be nominated to the Rajya Sabha in 2009, which was eventually given to former Tribune, Express, TOI and Hindustan Tims editor, H.K. Dua. However, both Gupta and Chidambaram deny the claim. # “Ashutosh Rais” was the pen name of former Business Standard editor T.N. Ninan, for pieces which he wrote for Democratic World, where Shekhar Gupta held his first formal journalism job as an assistant editor. # Shekhar Gupta had been in touch with Aroon Purie of India Today from around the time he relinquished the CEO role at The Indian Express in August 2013. There is no difference between a prostitute walking the streets& journos who would sell anyone for a dime. A disgrace to journalism! As an ex employee and subordinate I can tell you there is a lot of merit in these. Gupta is very shrewd and he used the position to build not just wealth but his own brand to become bigger than the paper. Krishn perhaps forgot to check about his preference for the female staff at express. About Anant Goenka – he is … sure to doom whatever is left of Express. There was once a saying in the US that no person was worse than a crooked cop.The thinking behind the phrase was that crime of whatever scale would thrive in a community where the police were corrupt.So also about Indian journalism and the likes of Shekhar Gupta. When Shazia Ilmi directly attacked Shekar Gupta calling him a dealer,he had no guts to hit back.That is the way of all bullies,who are deep inside cowards. GOI decision on one day ban on NDTV ” for its anti-National reporting after Pathankot attack reporting in Jan 2016.is being reviewed. The political Executive was surely misled by the I&B bureaucracy to keep it in good humour. I asked myself– Can NDTV be held solely responsible for the security breach ? I felt impelled to re-visit my earlier views on the issue. (a) How was NDTV crew allowed access into the prohibited military area including the armouries for filming? (b) Why were crew members not briefed about the locational sensitivity? (c) Why were precautionary guidelines not drawn-up by I&B mandarins in consultation with the Armed Forces for Media reporting in the aftermath of 26/11 attack in Mumbai ? (d) Heads must roll in I&B ,if, culpability of its officials, is established. (e) NDTV cannot go unpunished for not applying its common sense. He specializes in multi-tasking of a sort. He works as an agent and middleman of big fish, interviews people, sits in on panel discussions, joins Prannoy Roy on election analyses, and so on. But his chief occupation is to work as a tout. He is part-blackmailer, part-pimp, part-mudslinger, part-whore. But touting is what he relishes most as it gets him the biggest bucks. His forte is to have no morals at all. He is capable of selling his own mother down the river. One day he will run his dirty role. Gupta and Filth are synonymous. It is people like this sewer rat that have led Indian journalism into the septic toxic mess it is in.